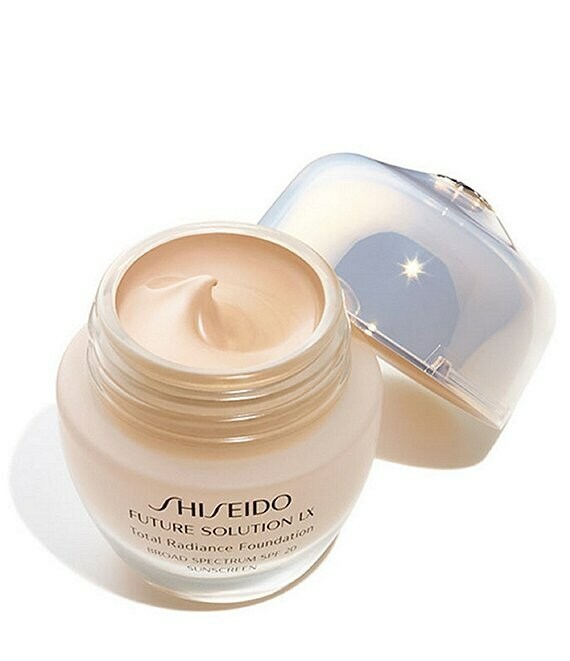 What it Is: A rich, velvety-smooth age-defying foundation infused with anti-aging skincare ingredients to reduce the look of pores, lines and dark spots, revealing smoother, firmer-looking, more radiant skin. Provides a luminous full-coverage finish. Who it's For: All skin types. For anyone looking for a velvety-smooth age-defying foundation infused with an exquisite luminous finish. How to Use: After cleansing and balancing skin, take a pearl-sized drop on your fingertip and smooth over the face. For optimal results, use with Future Solution LX skincare and Future Solution LX Total Radiance Loose Powder (each sold separately).